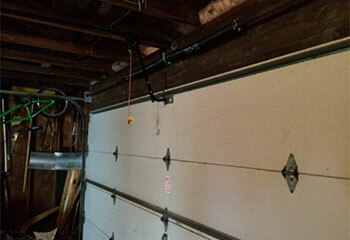 If you need a professional technician to fix any part of your automatic garage door, our team can help you out. Here are some of the latest projects we completed. 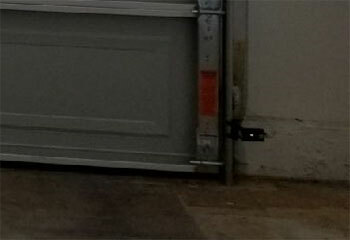 Customer Issue: The customer’s garage door refused to close all the way. 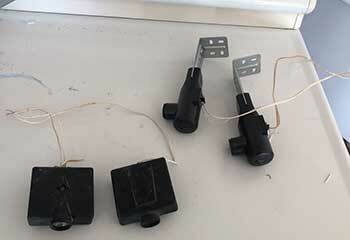 Our Solution: Suspecting a sensor issue from the start, we unlocked the sensors for inspection and position adjustment. After replacing their wires and correcting their position (both eyes had been knocked out of alignment) we reconnected the sensors and tested the door to ensure it no longer had any problems. Customer Issue: Opener needed replacing. Our Solution: We worked with the customer to determine what kind of an opener they were interested in and decided on a Craftsman ½ HP Chain model to last them for a long time. 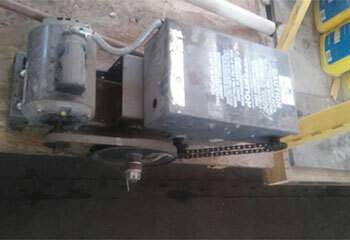 We then installed it and gave a short introduction regarding several new features before testing the system. Our Solution: The customer's opener was experiencing some difficulties, so we carefully disconnected it so we could take a look. It needed its safety sensor replaced, which we took care of. We then tested the door to be sure it was back in working order. Our Solution: After ensuring that the opener was disconnected, we removed both the spring that had broken as well as its counterpart that was also worn. We replaced them with brand new springs and tested it to be sure it was working.